We have always been a bit spontaneous. A bit may be an understatement. To be honest, we’re a lot spontaneous and a little crazy, but wouldn’t have it any other way… let me backup a bit, introductions first. We are Aaron & Philan. We have been married for just over 10 years and have three kids, Cashin, Brig, and Freya. 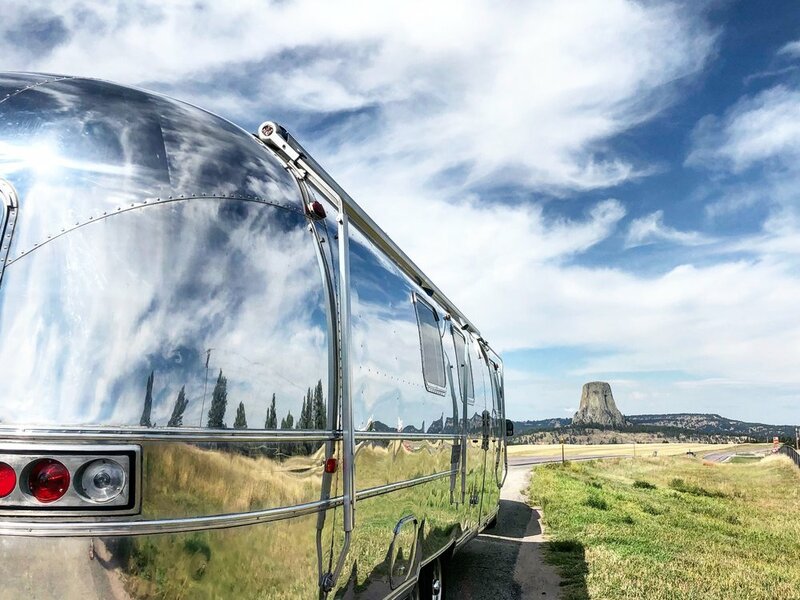 We were from Rockford, Illinois, but now we live full-time in our skoolie. Here’s how it all started. About a year and a half ago, my wife Philan asked me to go on a little weekend road trip together. 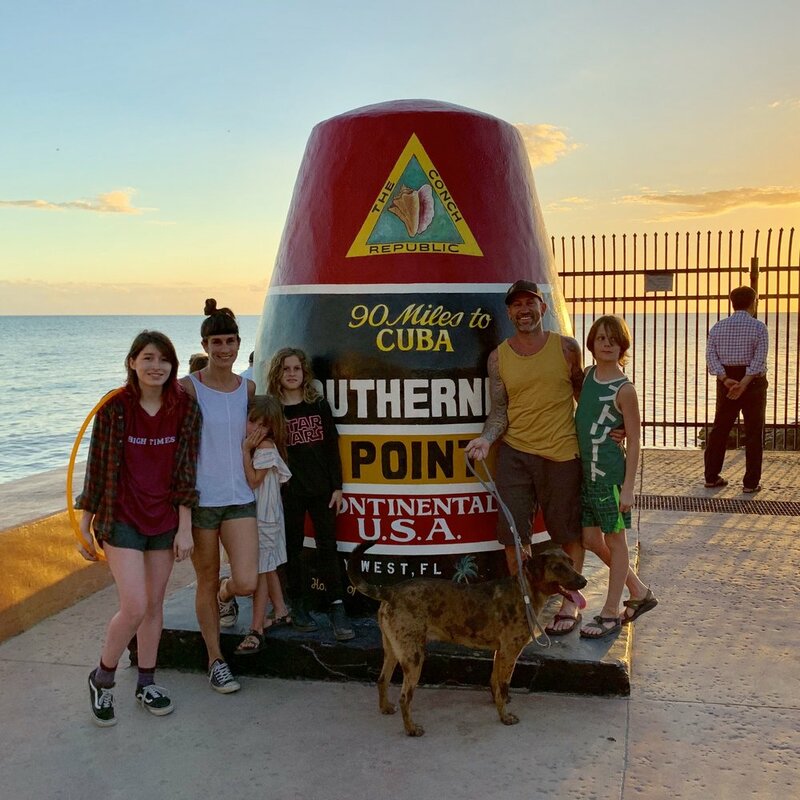 We love to travel, see new places, explore new cities, but this trip was different. It wasn’t just to experience somewhere new, it was to find a new place to live, so we thought. We had become consumed with stuff. A bigger house, remodeling a kitchen, kids toys filling rooms, it was too much. We realized none of that was making us happy, it was time for a change. After a few weekend trips to Asheville, North Carolina we were ready to sell our house and move there. We sat down and thought about what would make us happy. The more we thought about it, the more we realized that we needed a bigger change than just a new location. We needed to completely downsize, to slow down, to experience life together more with our kids. That’s when we decided to take a year off and travel. After looking at RV’s for a few weeks, and not liking anything we were seeing, Philan said, “what about a school bus.” We had heard of converted school busses, but at that point, had never seen one, or researched skoolies. So we jumped on social media and started looking. 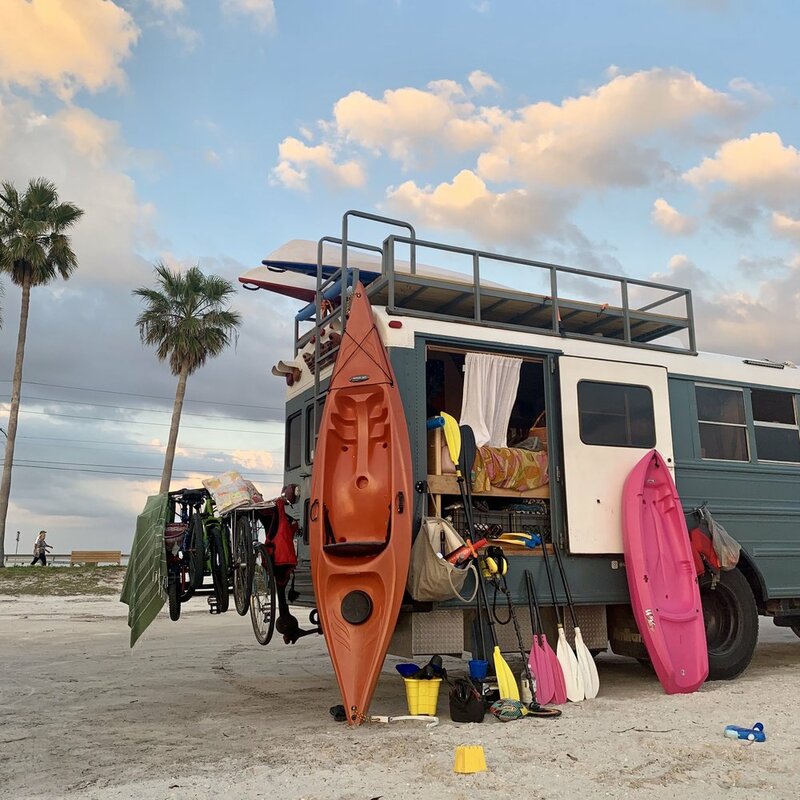 What initially sold us on the skoolie idea was being able to build it ourselves, therefore, being able to make it our home, not just a purchased motorhome. After all, our plan was to live on the bus full-time, not just to travel for a few weeks a year. Two weeks later, we found our bus. We had been looking at auction sites and on a whim, I looked on Facebook Marketplace. A bus popped up about an hour from our house. A few days later, we drove down to “see” the bus and came home that afternoon as proud owners of a big yellow school bus. Our kids flipped out when they saw what we had just bought. They thought it was the coolest thing and wanted to sleep in it that first night. We skipped that idea but we did take it on a road trip the next weekend to get an idea of how it would be like to travel in a bus. Maybe it was the bean bag chairs we put around the bus for them to ride in, or maybe it being in a really big bus, but for the first time they all just chilled in the bus. We were all hooked. From November 2017 through February 2018, we gutted the bus. It’s quite cold in upstate Illinois during the winter so it was slow going to start. We ran propane torpedo heaters and did demo work in the freezing cold. After getting our layout down on paper, we began our build. We started our build in March 2018 and finished up at the beginning of July. For the last two weeks of the build, while our kids were away at camp, we were both working on the bus for 16 hours a day. After spending that many hours working in 90 degree weather, Philan told me, “That’s it. Tomorrow we’re leaving.” And with that, we were finished. We needed to get on the road. I’m not going to lie. That first month was rough. We had spent so much time working on the bus that we didn’t take the time to plan where we were going, what we were actually doing. We broke down on day one. Only 7 miles from home, we were on the side of the highway, stopped on the shoulder of an exit ramp, on our bus that just died. A million things went through my head as I unhooked our car from the back of the bus and sent Philan and the kids to a nearby restaurant. I wondered if all that work, all the blood, sweat, and tears were all for nothing. We had rented out our house for a year, gave away a ton of stuff, packed up the rest of our stuff and put it into storage. What now? It’s a horrible feeling to think that your year long journey would be over on day one. Luckily, it wasn’t anything major. We were low on antifreeze and the engine cutoff automatically to prevent it from overheating. Over the course of the first month, we blew out a wheel bearing on our trailer; realized the bus didn’t have enough power to travel safely over the Rocky Mountains while pulling our car; left our car in Fargo, North Dakota; realized we didn’t like spending as much time in big cities as much as we thought we did; Brig fractured his arm; our bikes, bike rack, and rear window all got damaged; and worst of all, we bickered about everything. We also saw some amazing places, met some incredible people and learned a lot. A lot about being a family, a lot about working out our problems, both individually and together as a team. We began to learn the ins and outs of living in a small space, traveling full time, and spending 24 hours a day with just the five of us. It brought us together. It brought our kids together, it brought our family together. 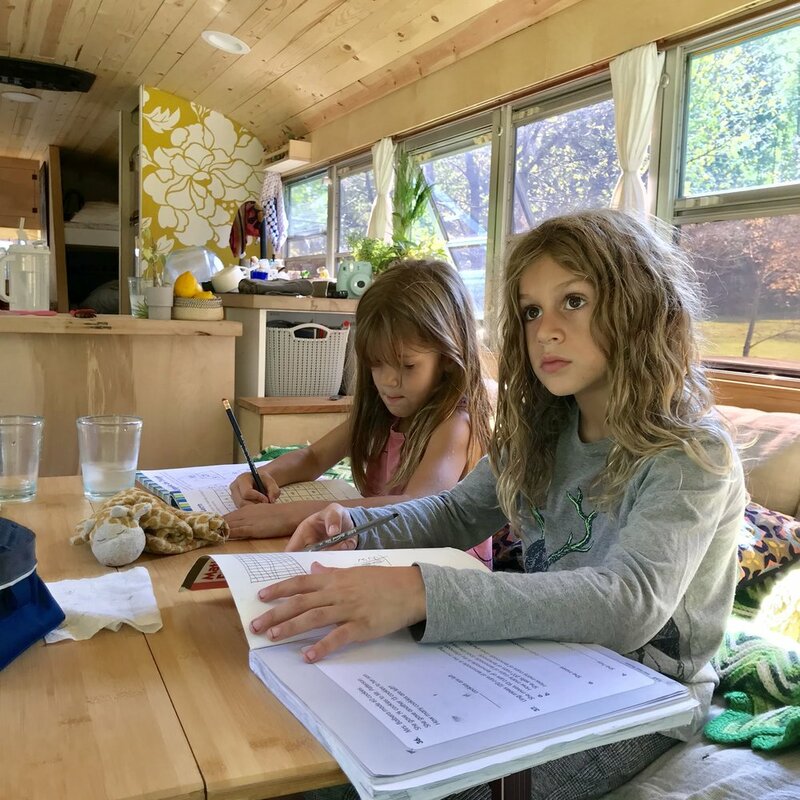 It is not always easy living together in a converted 20 year old school bus, but it is completely rewarding and totally worth it. We don’t miss the stuff we left behind, but we value the stuff we have with us. We have been on the road for 8 months and while counting down the months to go until our one year goal, we are making plans of where to head to for the next year. Tiny living isn’t for everyone, but it is for us. We love it and we’re looking forward to continuing for the next few years. We would love for you to follow our journey. We are on social media @simplyusandabus. We post the same content to Instagram, Facebook, and Twitter, so follow us on whichever platform you prefer. Thanks for letting us share a part of our lives with you. 1999 International Amtran Genesis 30’ school bus. When we started our first renovation I decided to start an instagram account, because none of my personal friends were interested in me spamming my personal account with renovation pictures. Well even though I’m in the millennial generation I didn’t know any of the “how to grow on Instagram secrets”. I literally posted random renovation shots whenever and didn't even know how to use a hashtag. I remember when my account grew to 100 followers I was floored, like what? 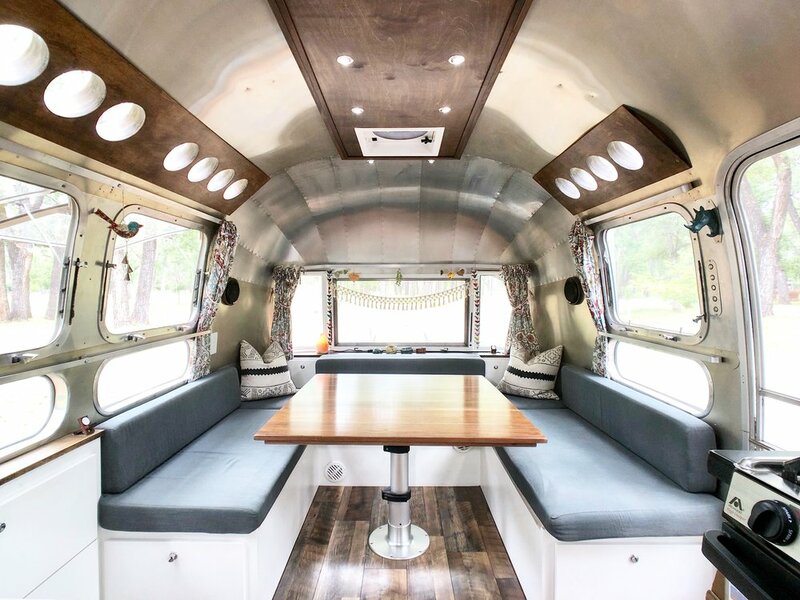 There’s other people on here that want to see an Airstream Renovation?! Then I stumbled across @themayesteam account and they were having an IG course with all the juicy secrets of IG. I asked Zach if he thought I should sign up and he said sure why not? I had just transitioned from being a salon owner & hairdresser to being a stay at home mom. I took their course and was blown away. Mainly because I began to realize just how large the tiny living community is! I didn’t realize how many people actually travel around full time in RVs'/buses etc. If you are looking for a good landing space on how to grow I definitely recommend their course. Something I took away from their class was how IG is such a good virtual community. I actually thought it was kind of silly that people had “virtual friends”, but once I got over that and started reaching out to fellow tiny living community members I realized just how amazing it was! I’ll be honest though, it was intimidating reaching out to others. But, as time went on it got easier and easier. I recommend starting with similar accounts to yours and just reach out & start a conversation! Our goal for this blog is to share others in this community and tips & tricks they’ve learned! In this post I’m going to share some of our IG friends that we love following to see their journey. I hope you enjoy them! 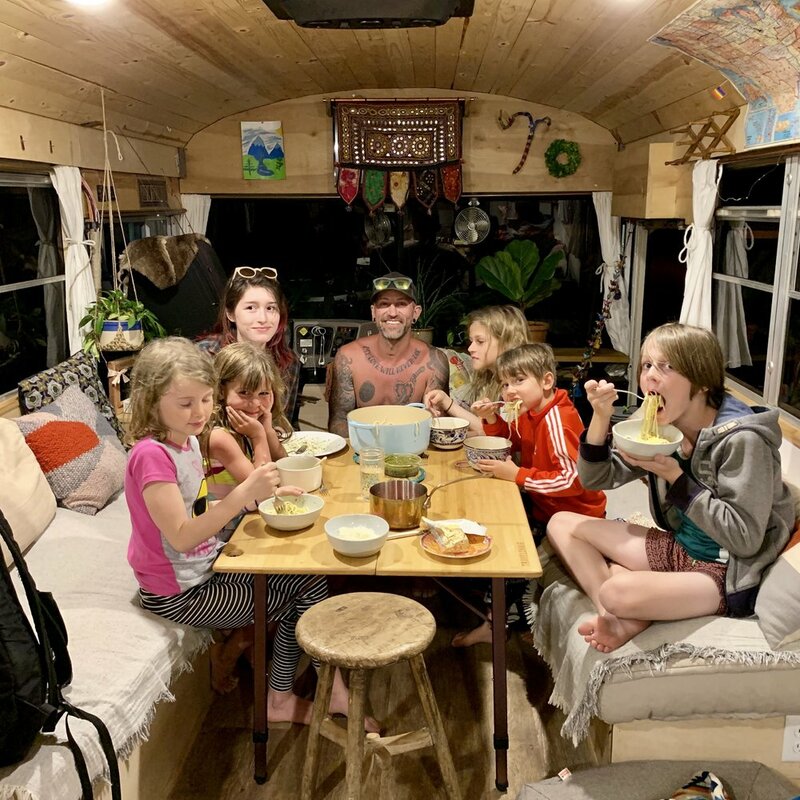 Along with guest posts we are going to have a monthly “shout out” post of checking out other tiny home / travel families. Make sure to subscribe so you don’t miss a post! Our first guest post will be next week from @rvfixerupper!